We treasure gold and diamonds, silver, rubies, and emeralds. But what if precious metals and gemstones didn’t exist? Would we have looked to other natural resources to treasure? Or to something completely different, such as handmade items or special artistic skills? Among Polynesians, this issue was no mere thought experiment. 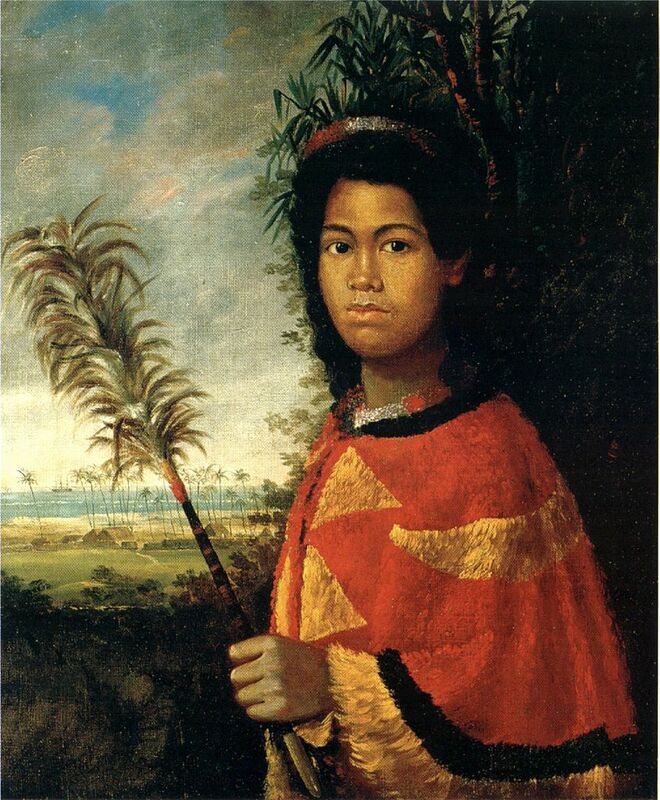 Since Polynesia lacked precious metals or gemstones, the Polynesians came to treasure the colorful feathers from local birds and used them to create visually stunning cloaks. A full sized piece is made from thousands of feathers. Back when resources were plentiful, birds caught specifically for their feathers were treated as a renewable resource—they were snared during the molting season and after their feathers were harvested, the birds were released to grow new plumage and to procreate. Meat breeds were killed and then had their feathers removed. These days, for economical and environmental reasons, featherwork artisans often use more commonly available feathers, which they dye and trim to shape. Attaching feathers to form garments involves stretching a foundation cord between two wooden pegs, and then suspending warp threads from it. Next, the artisans twine a weft thread around the warp threads across the length of the foundation cord. They insert feather quills between the twists of the twined weft threads as the twining advances. They then secure the quills by bending the ends over and inserting them in neighboring twists. Once they reach the last warp thread, they repeat the process row by row. An entire cloak can take a year to complete. In the past, featherwork garments were worn primarily by the chiefly castes, soldiers in battle, and for religious affairs. Nowadays the main use of featherwork is to commemorate traditional rituals and other formal occasions.